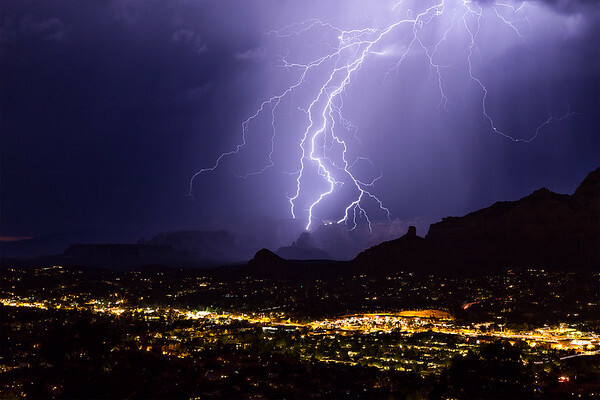 Have you ever wanted to photograph lightning and extreme weather? Are you tired of not being at the right place at the right time? Or just too worried about getting struck by lightning? 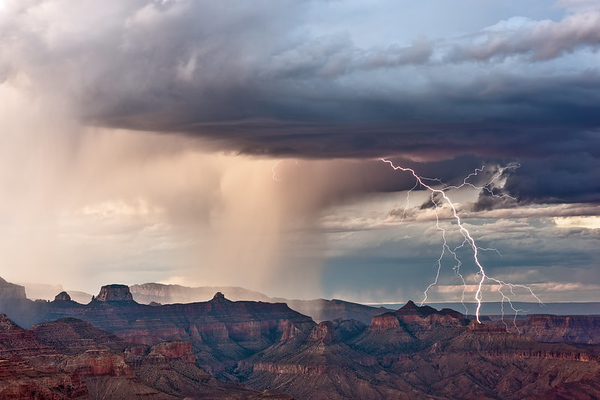 Safely experience the power and beauty of the North American Monsoon in the Desert Southwest. 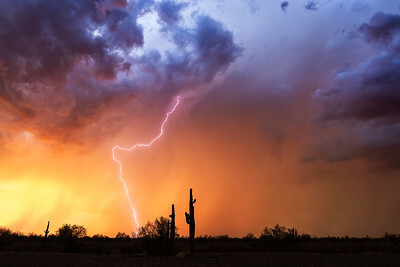 Our small, hands-on workshops and storm chasing tours give you a front row seat to witness and capture some of the most spectacular weather events of the summer set against a backdrop of breathtaking natural landscapes. 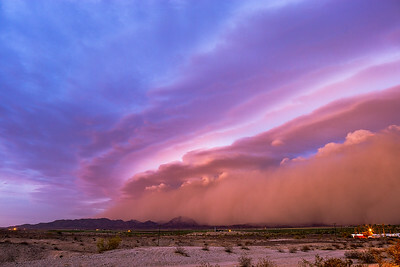 While the atmosphere always provides an element of uncertainty, we will seek out a wide range of visually impressive monsoon season weather phenomena including lightning, dust storms, microbursts, shelf clouds, transient luminous events (sprites), landspout tornadoes, and even the occasional supercell. 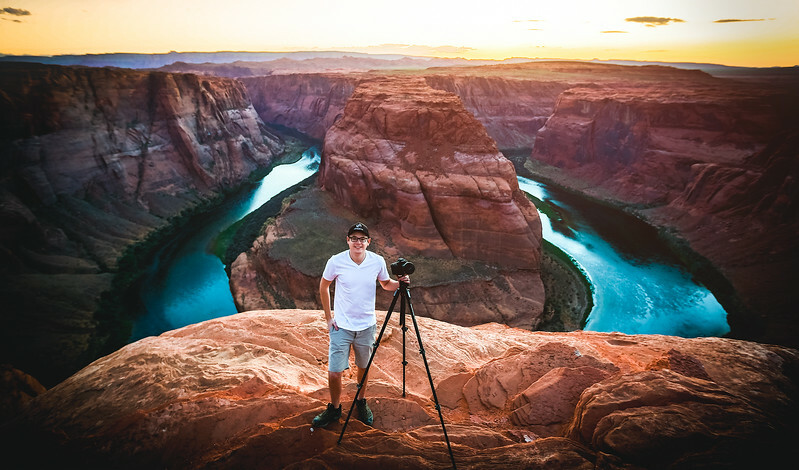 Whenever possible, we will strive to include iconic southwestern shooting locations such as the Sonoran Desert, Sedona, Monument Valley, the Painted Desert, Grand Canyon, Lake Powell, Horseshoe Bend, the San Francisco Peaks, Superstition Mountains, and many others. 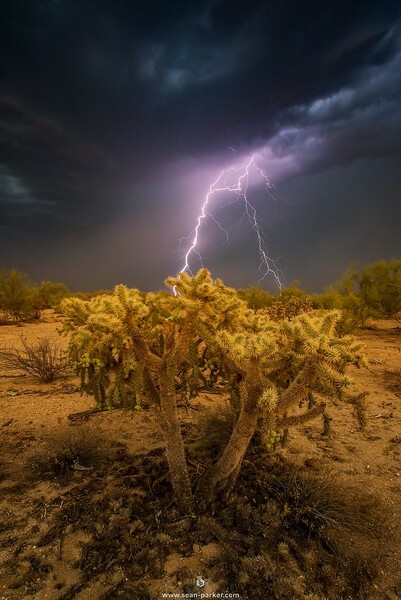 Join weather expert and renowned storm photographer John Sirlinand I during this amazing 6-day workshop as we explore Monsoon together!! 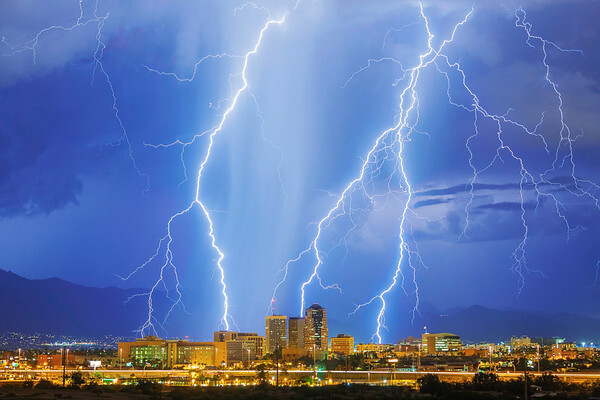 Sean Parker and John Sirlin are both certified storm spotters. 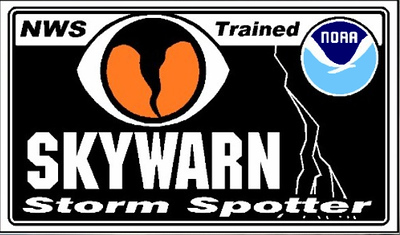 John is also a trained Skywarn Storm Spotter for the National Weather Service and has been storm chasing for more than 10 years. They're both qualified and insured. Safety is our #1 priority. 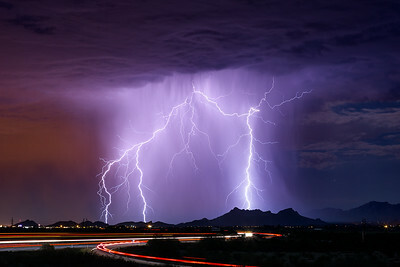 Subscribe to our mailing list if you are interested in learning more about Storm Chasing Workshops. -A DSLR Camera that can perform in Manual (M) Mode. We encourage you to learn your camera functions, menus, and have exposure triangle knowledge. This is not a photography 101 course. -A WIDE angle lens that is at least 16mm (11mm on crop frame) with an aperture of f/2.8 or faster is recommended but not required. Lens Rental is available through borrowlenses.com if necessary. Students get 10% off! 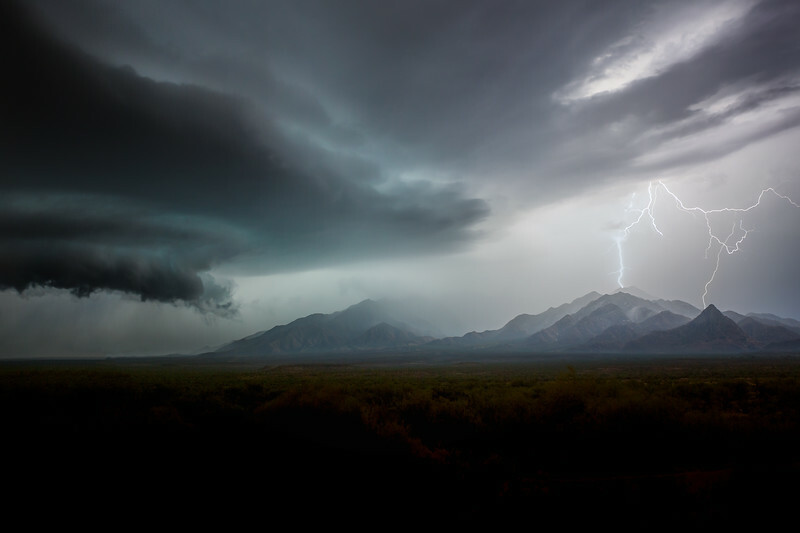 Due to the weather's unpredictability, our itinerary has to be flexible as to maximize our chances of catching an epic storm. We will be constantly monitoring weather patterns and re-positioning to the best location to achieve this goal. Arrival date July 16th for a meet and greet complimentary dinner. We will go over what to expect from the tour and answer any questions you might have. Day 1 - We will meet in our hotel lobby and go through orientation during breakfast. John will teach us some introductory forecasting and storm chasing basics, which we will build upon each day. Sean will go over camera techniques and best practices and will field any questions you have. During this time, we will do a safety briefing in which we explain what we expect from you and what you can expect from us in order to safely conduct the workshop. After completing orientation and choosing a chase target for the day, we will load up, hit the road and start the chase. We will not return to the base hotel until after the final chase day. We will conduct our morning briefing and go over what we saw and learned during the first chase day, and also cover the forecast for the current day. Because we will have stayed the night near the previous day's target, we likely won't have as long a drive as the previous day to get into position. If that's the case, we can take some time to sit down for a nice lunch or see some local attractions, or just edit our photos together. Storms usually fire around 3 or 4 in the afternoon, and once they do, we will again be in "chase mode" until they weaken, which is usually an hour or two after sunset. We will be getting into the groove now and you'll hopefully have a lot of storm photos to process and post. During our morning/early afternoon drives to each chase target, you can either spend this free time catching up on some sleep as you'll likely be exhausted (bring a neck pillow), catching up on emails and work, or editing your photos. 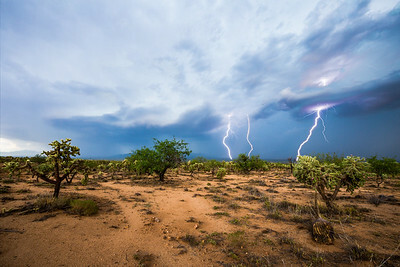 At some point during this time, we will go over how to best process storm photos in Lightroom and continue to build on the best ways to capture them. Sean and John are excellent photographers and can teach you how to create these stunning videos upon request. We will have covered hundreds of miles on the road and you will start to think (and probably smell) like a real storm chaser- the anticipation, the boredom on the road, the adrenaline, the excitement of catching an epic storm, and the relief of finding a Pizza Hut that is still open at 10:15 PM. 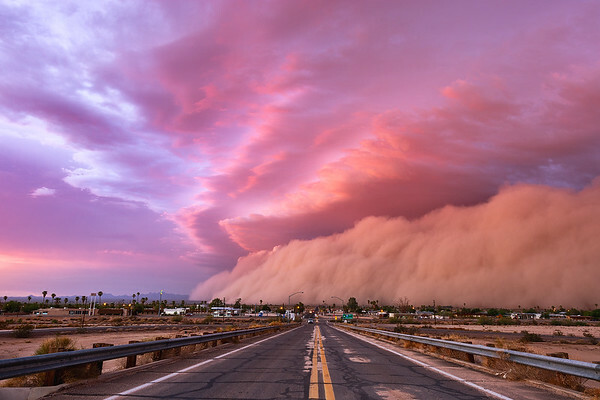 Depending on how far we meandered away from our base city, we might have to start heading back in that direction to ensure we can get you to your flights the next day. We will still be in "chase mode" on Day 6, but know that we might have to chase a secondary target area if the main action is out of reach. We will return to the base hotel on the night of Day 6 or early the next morning on your departure day. Please ensure your departing flight is no earlier than 2 PM so that we have more options on chase targets on Day 6. Tuition is affordably priced at $3,200 until May 1st. Price goes up to $3,500 after that. A 50%, non-refundable deposit is required to reserve your space for the workshop or you may pay in full. The remaining balance is due on 2 weeks prior to workshop. If the remaining balance is not paid in full, your space will be forfeited. Minimum 2 participants are needed for this workshop to take place, so please do not book your flight until we have confirmed that the minimum has been reached. – Lodging - Your Own Room! 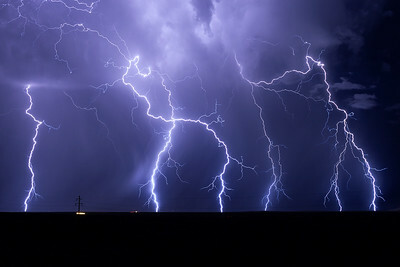 – Continuous amount of fun as we storm chase through the Great Plains! – Airfare to and from Denver Airport. Less than 30 days: no refund Refunds will be paid by the same method that the original payment was made. Refunds will be initiated within 72 hours of the time that the request is approved. Due to insurance purposes, you are required to purchase travel insurance for this workshop. I recommend Allianz or World Nomads. Proof of Insurance will be requested prior to workshop. While we maximize your chance of seeing something epic by only scheduling tours in the peak of storm season, the weather, as of yet, is beyond our control. 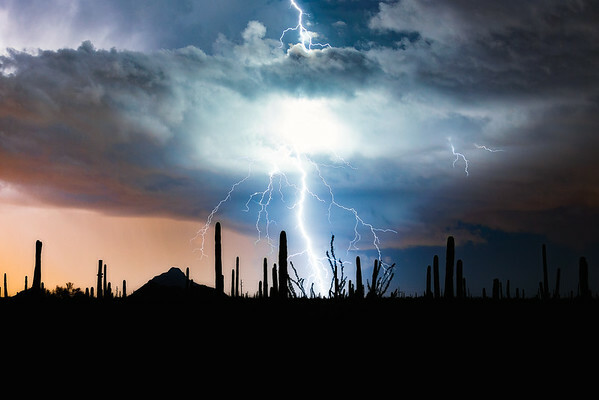 We will do everything in our power to put you in the best location but cannot guarantee you will catch the most extreme weather. Since each storm is unique and exciting, expect Sean and John to set up their cameras and shoot the excitement right next to you! 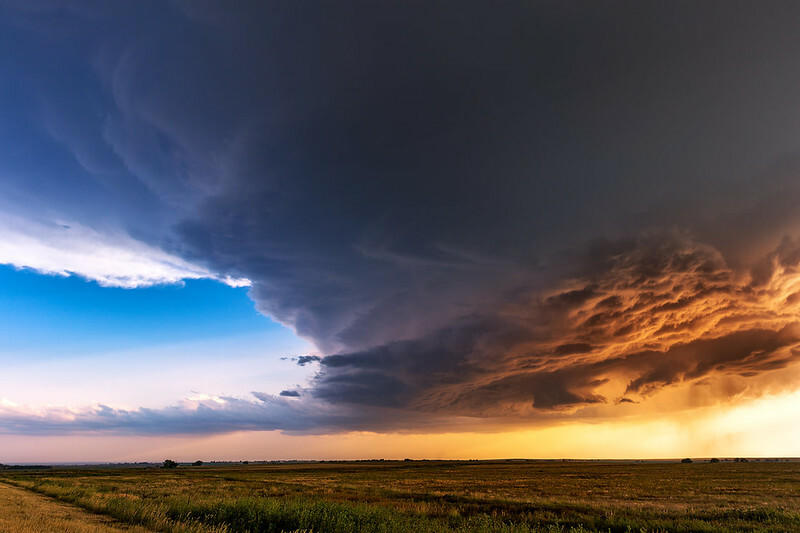 Storm chasing is not nearly as dangerous as the movies and television shows might have you believe, but it does come with hazards. 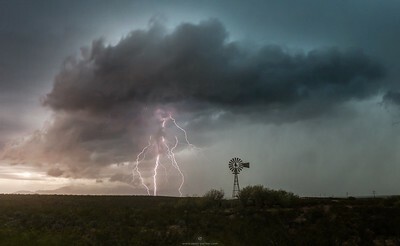 Statistically, the most dangerous part of storm chasing is the driving. We will be on the road for most of the day, and at times, in poor road conditions. Seat belts must be worn at all times in the van. 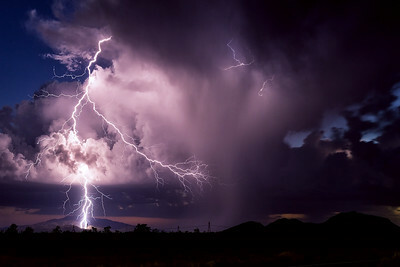 Another danger is lightning. 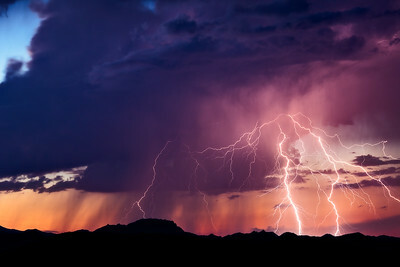 There will be times when we will be stopped and shooting a storm with lightning nearby. 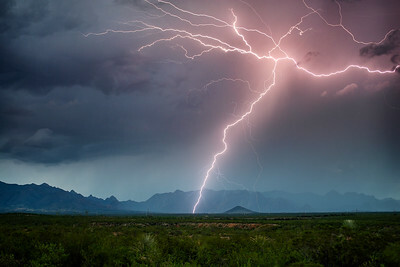 There is no way of knowing where or when lightning will strike, so if you ever feel uncomfortable or in danger, you can get back in the van (inside a vehicle is generally a safe place to be during a lightning storm, not because the tires are rubber, but because they act as a Faraday cage.) 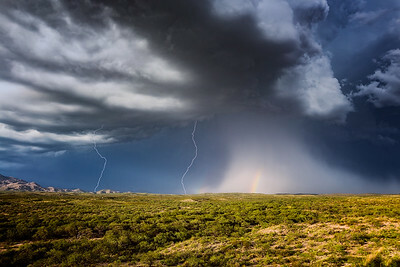 Though the majority of tornadoes are relatively weak and short-lived, some have the strongest winds on earth, and can be capable of widespread destruction. Because their motion is directly tied to the parent storm and with how large they are, they are usually quite easy to see coming and avoid. However unlikely personal injury might be, all clients will be required to sign a comprehensive liability waiver. This workshop is based upon a first come, first serve priority and available spots will be updated on this page. By submitting payment you agree to our Terms & Conditions stated above. If you have any hesitation signing up, please read my testimonials from previous clients and my reviews on facebook. 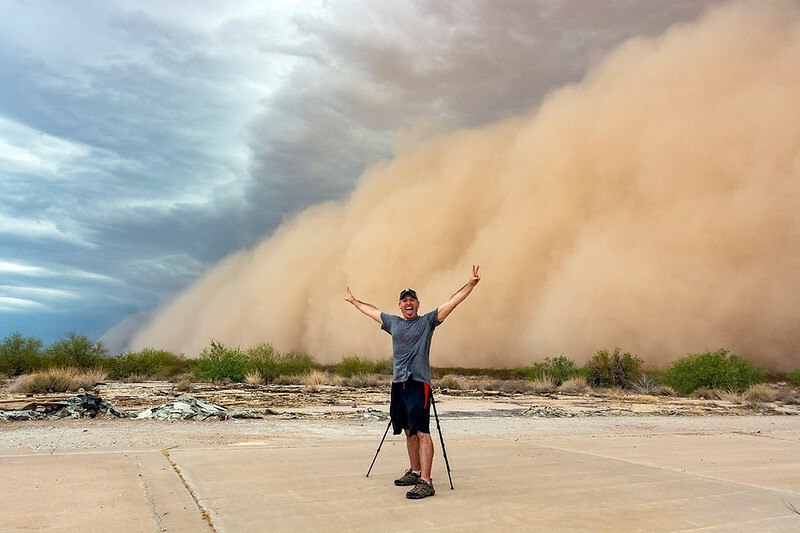 John is an accomplished storm chaser with over 28 years of experience. 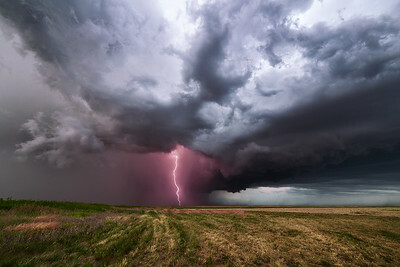 He began chasing storms in Minnesota and the northern plains in the early 1990's and learned how to forecast, target, and safely track tornadoes and severe thunderstorms before mobile radar and up-to-the-minute weather data was widely available. 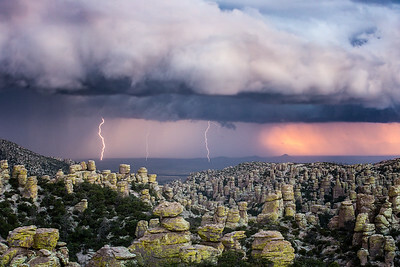 ​He expanded his chasing endeavors to the desert southwest in 1998 and has chased the Arizona monsoon every year since. 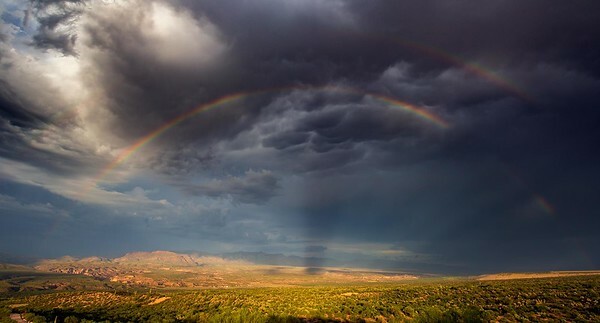 His work has been featured on Good Morning America, the Weather Channel, CNN, ABC, NBC, CBS, and several local news stations in various cities throughout the country. 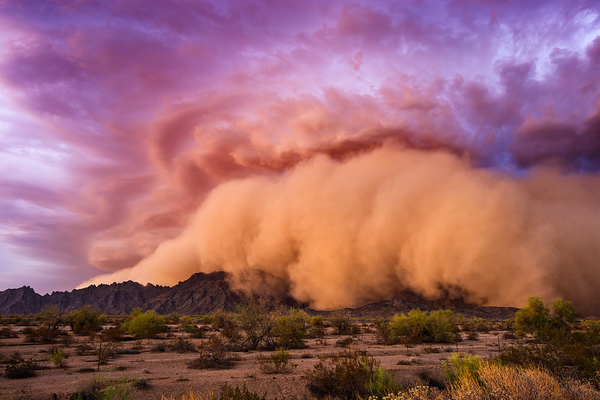 His weather photography has appeared around the world in major publications including the Sun, Daily Mail, Express and has twice appeared in the Washington Post as the "Photo of the Week".